which we call the std version. Here is the standard deviation of the set B along the X-axis. But which one is better? If we look at the ML literature, we observe that the variance version is more common than the std version. So there should be a reason to prefer the former. 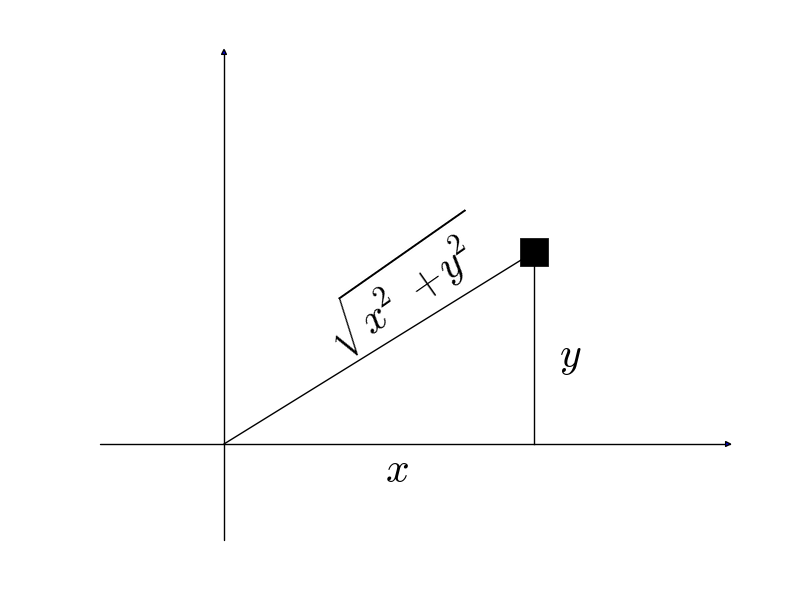 Two ways to calculate the distance between two points. One approach is to take the length of the line segment between the point and the origin (this is usually referred to as the Euclidean distance), or we can sum up the absolute x and y values of its position (this is usually referred to as the Manhattan distance). In our initial post, we argued that the Euclidean distance is the most intuitive distance function between any two point and therefore here we prefer the variance version over the std version.